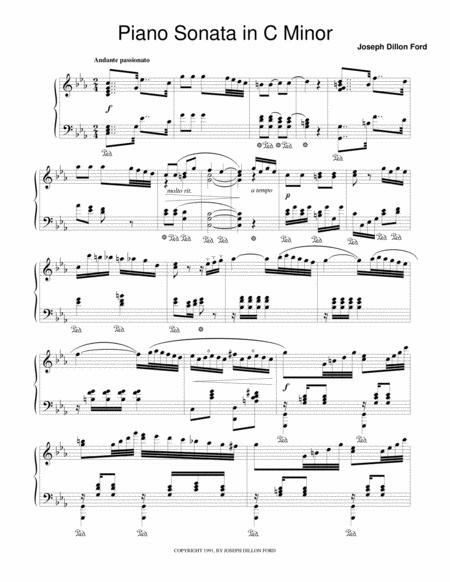 A four-movement "grand sonata" of tragic/heroic character in the Viennese neoclassical tradition, programmatically connected to Goethe's Werther. One of the greatest lights of German literature, Goethe was also an accomplished artist whose humanity was profoundly influenced by the ideas and ideals of Classical antiquity. Indeed, eighteenth-century neoclassicism represented the first great wave of the space- and time-defying romanticism that would inundate the nineteenth century. With publication of his early epistolary novel Die Leiden des jungen Werthers (The Sorrows of Young Werther, 1774-87), Goethe scored a huge succès de scandale, particularly when crazed imitators of the lovelorn title character began affecting his mode of dress and personal mannerisms. Some identified so closely with Werther that, like him, they sought escape from suffering through suicide. 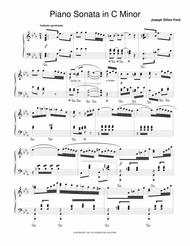 The first movement of the "Werther" Sonata reflects the wide range of moods and passions associated with this highly complex literary character. Much has been made of the possible connection between actual flesh-and-blood human beings and the characters in Goethe's Werther. It is known, for example, that on 9 June 1772, after completng his legal studies, Goethe attended a ball in Wetzlar where he was introduced to the nineteen-year-old Charlotte Buff. Goethe felt an instant attraction for the young woman although, like Werther's beloved Lotte, Charlotte was already engaged to be married. She tactfully rejected his advances, and on 11 September Goethe left without bidding her a final farewell. Werther was a devoted reader of James MacPherson's enormously popular verses composed in the antique style of Ossian, a legendary Gaelic warrior whose life and deeds took on a supernatural grandeur rivaling that of Homer's Odyssseus. Shortly before his suicide, Werther recites to his beloved Charlotte a portion of his own translation of some of the songs of Ossian. Both realize that the passage he has chosen foreshadows their own impending misfortune.